South Texas College is offering permit-free parking at its Park and Ride facility, at the start of the fall semester on Aug. 27. The Park and Ride facility, at 4100 Pecan Boulevard in McAllen, operates continuous shuttle service to and from the Cooper Center, at the Pecan Campus from 7:00 am to 6:00 pm, Monday through Thursday. Parking permits will still be enforced at all other Pecan Campus lots, at all times. 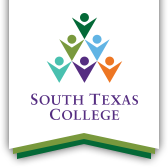 “South Texas College is committed to helping students achieve their educational goals through countless no-cost and affordability options,” said STC Police Chief Paul Varville. “While other institutions in the Valley have charged as much as $100 for a permit, the cost for parking at STC is reasonably modest, $25 for students, staff and faculty. “More than 290 new spaces were created on Pecan Campus as a result of the 2013 bond, and the Park and Ride facility alone has over 600 parking spaces available for students,” Varville said. South Texas College also utilizes its mobile app “JagMobile” available on iOS and Android enabled devices where students can view the location of buses en route via Double Map. For more information about parking options along with campus maps or information about the college’s shuttle service between campuses, the JagExpress please visit https://www.southtexascollege.edu/stcdps/parking.html for more information.